EAGLE COUNTY — Local artist Jim Cotter was invited to lecture through the Michigan area, from Friday to today. He has been invited to give a demonstration of his signature concrete work for the College for Creative Studies, Michigan Metalsmiths Association, Wayne State University and Bowling Green University, as well as give a lecture for the students, faculty and public. Cotter talked about the work he has completed throughout the past 50 years. Cotter broke fresh ground in the early 1970’s with his use of alternative materials and his fresh approach to jewelry, and has been considered a pioneer in the field of contemporary jewelry making ever since. Cotter was one of the first artists to use cement creatively in wearable art and still uses it in his work today. 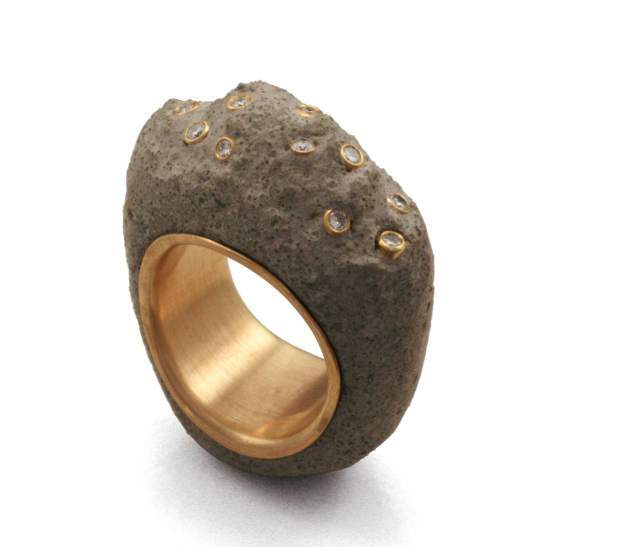 J. Cotter Gallery was established in 1970 in Vail, and continues to uphold the tradition of bringing contemporary jewelry and art to the Vail Valley. J. Cotter Gallery can be visited in Vail on Wall Street and in Beaver Creek Village on Market Square. For more information on this exhibition and Jim Cotter’s jewelry, call 970-827-4222 or email studio@jcottergallery.com. On the web, go to http://www.jcottergallery.com.